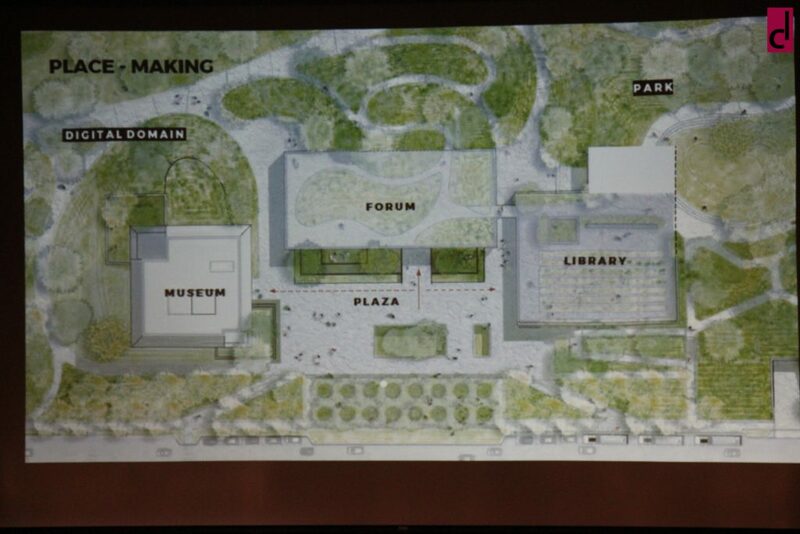 WASHINGTON PARK — Founding Director, Museum of the Obama Presidential Center, Dr. Louise Bernard has been charged with creating the vision of what the new Obama Presidential Center honoring the first African American President of the United States, Barack Obama, will look like once it’s completed in 2021. It also helps that the team leading this effort is not only minority led, but it’s also led by women. Formerly of the Smithsonian National Museum of African American History and Culture, Dr. Bernard’s daunting task is one to many people that seems somewhat incomprehensible given the scale, scope, and importance of such a project. I asked Dr. Bernard how it was possible that she was selected to lead such a project and she responded jokingly that “there were cosmic forces in play completely beyond her control.” However, it helps given her track record and pedagogy in African American arts and culture that she would be highly qualified to lead this effort. 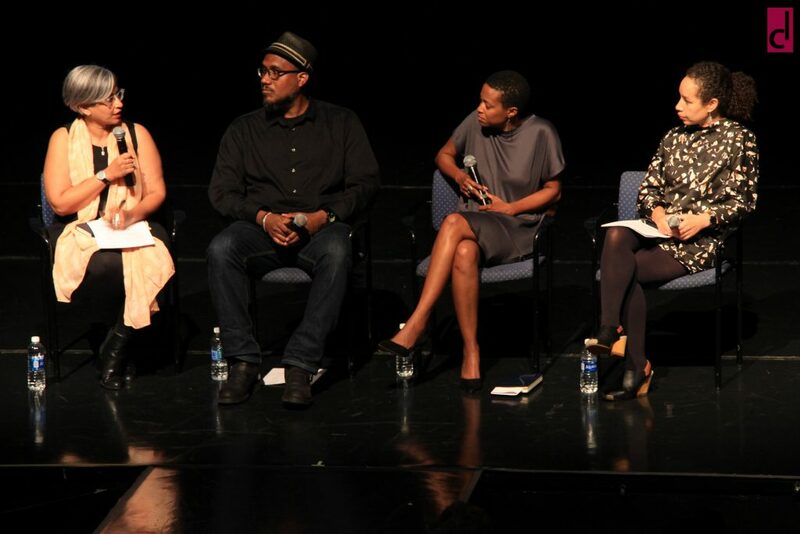 On Saturday, October 14, 2017 at the DuSable Museum of African American History in a joint discussion panel with members of the exhibition design team, Dr. Bernard spoke on the plans currently in progress to bring the Obama Presidential Center to the Southside of Chicago. 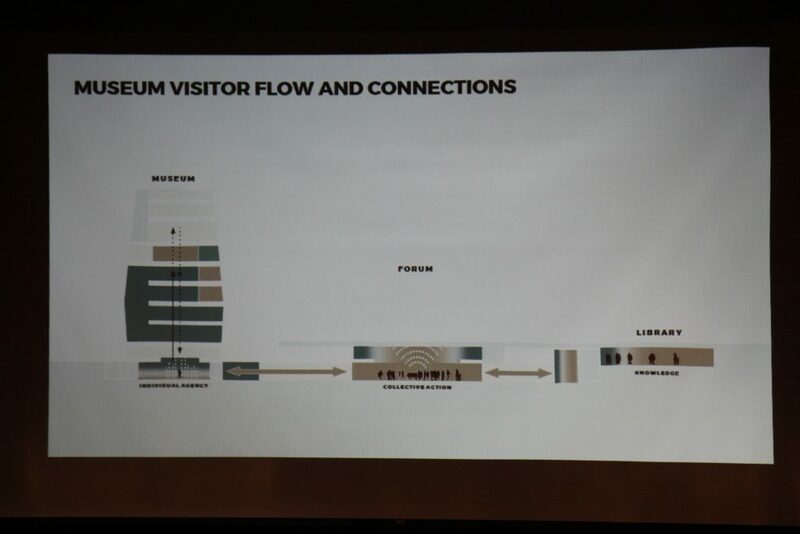 She also spoke on the role that culture, architecture, and thoughtful design play in shaping and creating a narrative around the creation of this museum that incorporates and edifies the community where it will occupy space. 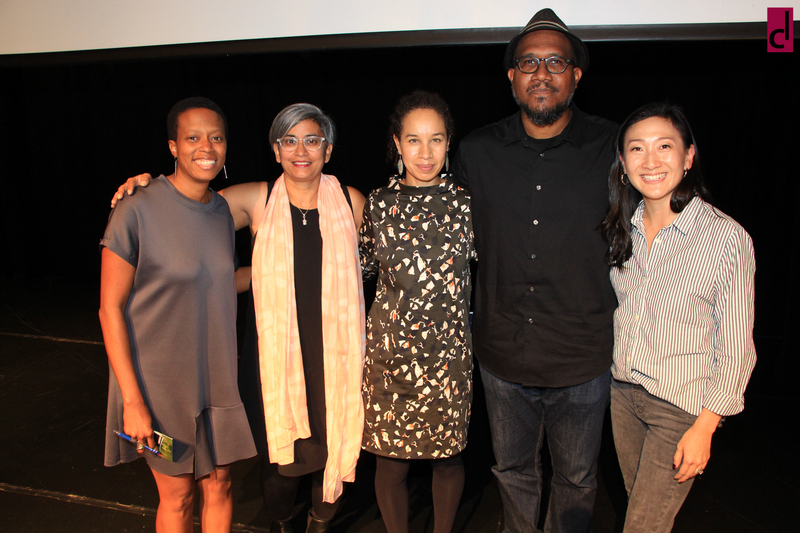 She was accompanied by fellow artists and members of the Exhibition Design Team, Amanda Williams and Andres Luis Hernandez, and moderated by IIT Professor Monica Chadha (Founder, Civic Projects and also a member of the Exhibition Design Team). The Obama Presidential Center will be the first Presidential library constructed in an urban area like the Southside of Chicago, and for this reason there is a great deal of thought that is going into every detailed aspect of its design and implementation. Slated for groundbreaking in the Fall of 2018 in Jackson Park, many community residents are excited that the project is coming to their neighborhood. Although the project could cost the city of Chicago millions of dollars and with the State of Illinois uncertain if they can foot part of the bill, plans still continue to move forward for development as the Foundation funds the costs of the building. The Obama Foundation also recently announced that they were adding additional acres of land to the project, and when plans are changed costs increase and delays can happen. With such high visibility given to such a momentous project there are also concerns on how the surrounding community will benefit. Dr. Bernard recognized this and spoke at length on what it really means to build and construct a library that functionally will benefit not only from the latest technology, but also the latest design trends such as LEED certification. Still in the “conceptual” design phase the team is already exploring the usefulness of community rooms, video and photography studios, and other functional spaces that allow the community to come in and engage with each other and create. The panel discussion lasted about an hour and began with opening remarks from Exhibition team members on current and past projects that they were involved in. Most of these projects with focus on the Southside of Chicago in areas such as Englewood and Bronzeville, tell a story of a very handful of architects and artists that are concerned and focused on rehabilitating dilapidated areas of the Southside, and rightfully so. The Southside of Chicago for all intents and purposes is and has been underserved in these areas for decades. So, for Amanda Williams to speak on the various projects that she’s been involved with in an effort to color and preserve property in these low-income neighborhoods it tells the story of how much the Obama Presidential Center is truly needed in this community. It also tells the story of the lack of inclusion of minorities in the arts, culture, and architectural design space. As Amanda Williams, exhibition design team member made this evident when she said that “there are less than 400 African American female architects” in the Architectural field. Amanda made this call as she see’s this being a huge problem, and one that can be addressed by the Obama Presidential Center project. She also felt that her being part of the Obama Presidential Center project is more than just contributing to the success of the project, but more so to promoting women and minorities involvement in the arts and architectural career paths. Tod Williams Billie Tsien Architects at TWBTA out of New York—the architectural firm that also designed the newly constructed Reva and David Logan Center for the Arts on the University of Chicago Campus located at 915 E. 60th street—has already released a conceptual drawing of the edifice that is set to become a national monument honoring the first black President of the United States Barack Obama. The arts and culture are playing a large role in the creation of this museum and many important questions are being worked through by Dr. Bernard and her team as she explores ways to maximize a once-in-a-lifetime and momentous effort to erect the Obama Presidential Center. According to the Obama Presidential Center website The Barack Obama Presidential Center will be the 14th presidential library administered by the National Archives and Records Administration (NARA), a federal agency responsible for the archiving and preservation of past Presidents and their time in office. Unlike other Presidential Libraries administered by NARA, the Barack Obama Presidential Library will be a digital library. After the records are digitized NARA will store and preserve the original materials in an existing NARA facility that meets NARA’s standards for archival storage. Once complete, staff at that location will be responsible for caring for the records and artifacts. Currently, the Obama administration materials are housed in a temporary facility in Hoffman Estates, IL, which is not open to the public. Obama presidential records are administered in accordance with the requirements of the Presidential Records Act (PRA) and will not be subject to public Freedom of Information Act (FOIA) requests until January 20, 2022. The Obama Presidential Center is projected to be completed by 2021. Read my previous blog post below. tips, guides, news, and more delivered once a week.